A special initiative, “In Mugello sotto il Cielo di Giotto” is marking the 750th anniversary of Italian artist’s birth, during which two of his works are being especially showcased. From humble beginnings, Giotto da Bondone (1267 -1337) who tended to sheep as modest as himself, went on to create the bridge between art of the Dark Ages and art of the Renaissance. 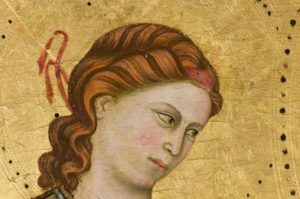 After leaving the Mugello valley, the land of his birth north of Florence, Giotto conceived multi- dimensional art, transferring the world’s perception of painting from a flat plane, to one characterized by depth and the use of realism. Giotto’s home in Vespignano, near Vicchio, has been recently restored and is open from the public. The next stop on the artist’s trail is the Beato Angelico museum in Vicchio, which is displaying the “Madonna di San Giorgio alla Costa,” on loan until October to be close to his birthplace. The second painting, the “Vergine col Bambino,” can be viewed at the Romanesque church of San Lorenzo in Borgo San Lorenzo. The itinerary, comprising works by Giotto’s contemporaries such as Donatello at the convent of Bosco ai Frati continues throughout the Mugello, creating a remarkable day trip. 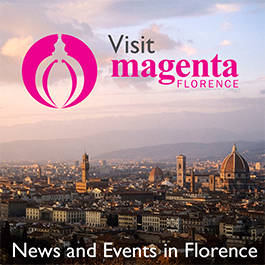 To read more in Italian, and to see a photo, visit Florence’s La Repubblica news site.